Bill Paxton has died. He was 61. Bill died on February 25, 2017 from surgical complications. Bill Paxton, the everyman actor known for his work in such movies as Aliens, Titanic and Twister and on television shows like Big Love and CBS' new Training Day, has died, The Hollywood Reporter has confirmed. He was 61. "It is with heavy hearts we share the news that Bill Paxton has passed away due to complications from surgery," his family said in a statement on Sunday, the day of the 89th Academy Awards. "A loving husband and father, Bill began his career in Hollywood working on films in the art department and went on to have an illustrious career spanning four decades as a beloved and prolific actor and filmmaker. Bill's passion for the arts was felt by all who knew him, and his warmth and tireless energy were undeniable." The native Texan also appeared in films including The Terminator (1984), Weird Science (1985), Predator 2 (1990), Tombstone (1993), True Lies (1994), Apollo 13 (1995), Mighty Joe Young (1998), A Simple Plan (1998), U-571 (2000) and Edge of Tomorrow (2014). He worked often with James Cameron, who in the 1970s gave Paxton one of his first jobs job in Hollywood — as a member of his night crew when Cameron, long before he was an Oscar-winning director, was a production designer. "We're just good friends, and he's been incredibly loyal to me," Paxton said in a 1998 interview. "I guess I always fantasized about hooking up with a director and doing a series of films with him. You think of the great actor/director teams, like Scorsese and De Niro." I was so shocked when I heard about this. Way too young. 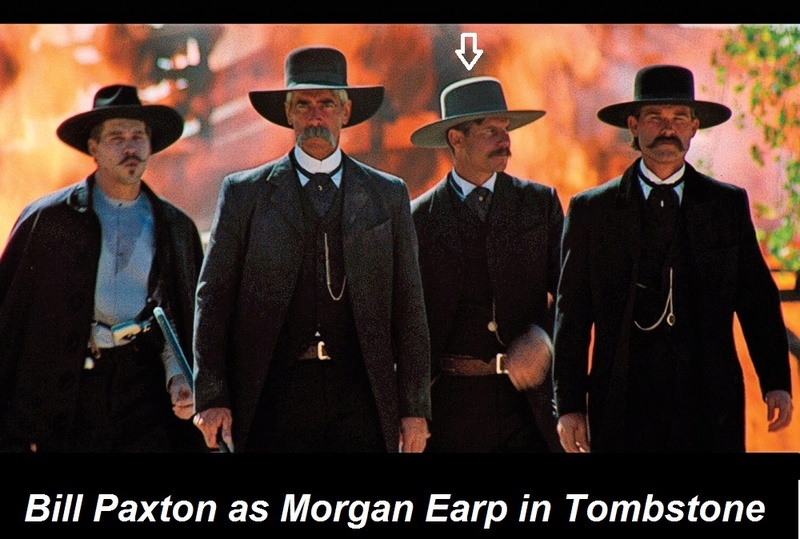 I really loved Bill Paxton....I know people always say that after actors die, but I really did. I loved everything he was on. Twister was my favorite. He was far too young, and sounds like he was such a good guy.